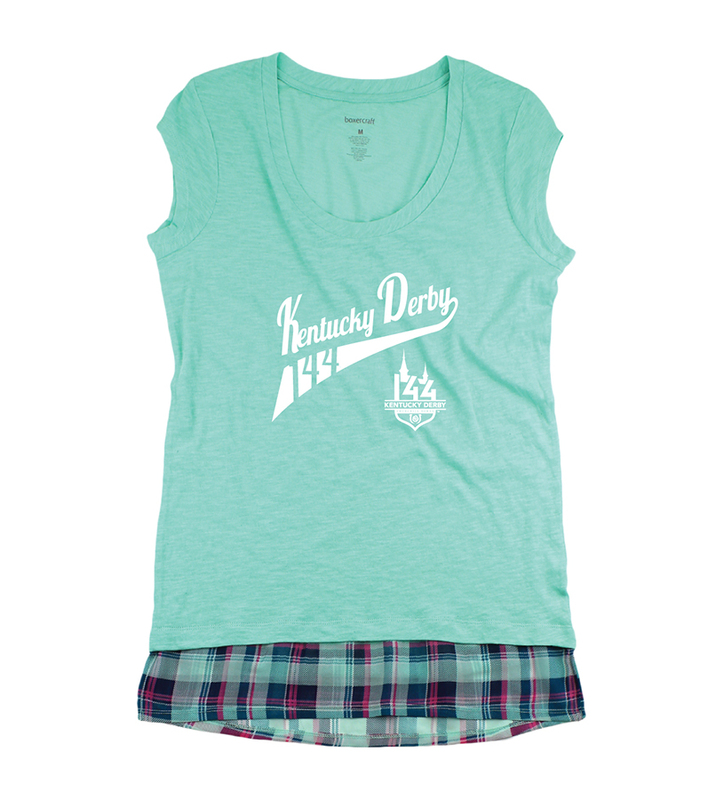 A cotton/polyester blend tunic style shirt with scoop neck and cap sleeves features the official logo of the 144th Kentucky Derby. Available in mint. Available in youth sizes S-L.